First off, the news that a lot of people have been waiting for. Another Exodus book will be out on Saturday. Not Empires at War, my most popular series. No, this one will be Exodus: Machine War: Book 5: The Code. 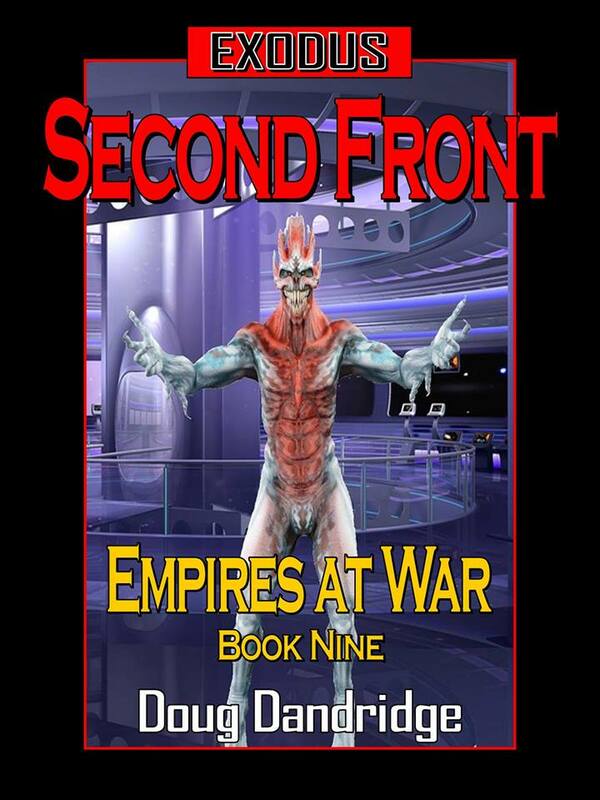 It will be the end of that side series, though some of the characters will be appearing in the next Empires at War books. And several of those books will be released within the next three months. Now, on to The Monster. I wrote this book seven years ago, when I was looking for something different that might attract the attention of a publisher. Then, in August of last year, I looked it over, thinking to self-publish. I read it over at DragonCon, and really liked what I read. Since I hadn’t looked at it in over five years, it was like reading a new work by someone else. I decided to send it to an agent I had met at DragonCon the year before. She looked it over, and didn’t like it. I then realized that this book would be unlikely to find a home with any publisher. It was just too different. Fair enough. I could publish it myself, though I still waited a while to do so. Originally titled Soulless. That title fits, as anyone who reads this novel will agree with. The only problem was there were at least a dozen books with that title, and as I learned with The Hunger, it is best to avoid that kind of confusion. So I started plugging names into Amazon, starting with The Monster, and found there were few to none with that name. It also seemed to fit, so there you have it. I classified The Monster as science fiction horror, because it has elements of both. Teleportation, nanotech, genetic engineering, replication, mind control, and a plot to take over the world by a scientist who was changed somehow by the process he developed. The terror of people who knew they were being controlled and weren’t able to do anything about it. It would be rated R if it were a movie, so this one is not for the kids, or the squeamish. Still, I think it is an interesting tale, and it is being released on Kindle Unlimited, so those with a membership can read it for free (or at least for whatever percentage of their membership fee goes toward my book. Remember, there is no such thing as free). I hope people who read my other work will give it a chance. Or that even the horror crowd will try it. It can be found on Amazon.US here, and Amazon.UK here. New Bookstore Page on the Blog. New Exodus Bookstore Page up at the dougdandridge.com blog. All of my Exodus books, Empires at War, Machine War, Tales of the Empire, and the Deep Dark Well. Coming soon: Another page featuring everything else coming soon. 30 Days of Giveaways. First Up: Exodus: Machine War: Book 1. Exodus: Machine War: Book 1: Supernova. I’ve decided to try something different here to see if it gains some traction. I have done Amazon giveaways several times in the past. I did five of them before I started selling enough to think about leaving my day job. The Deep Dark Well was extremely successful. I gave away 4,100+ copies, and to this day I believe this promotion kick-started my career. I’ve sold almost 7,000 of that book since, and the book I put out after the promotion, Exodus: Empires at War: Book 1, jumped off the digital bookshelves. Several of the other giveaways did well, but didn’t result in greater sales. Prior to releasing book 5 of the Exodus series I did a giveaway of Book 1. 4,900 free eBooks went out, and I sold five hundred of books 1 through 4 when Book 5 came out. Even the book I had just given away. So giveaways can work. And even if they don’t result in greater sales, they get eBooks out in the hands of readers. I don’t do them often because they actually take a lot of time. 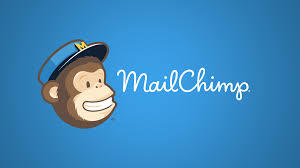 Posting on the sites that publicize the giveaway, blogging, tweeting. But they work, and I thought it was about time I tried another. But which book? I have three series that do well, and those are the ones I thought it would be best to promote. Across the entire month of October. Amazon allows the free promotion of any book exclusive to them for five days every ninety. So I decided which books to do, and went ahead and set up the first three on a number of promotion sites. 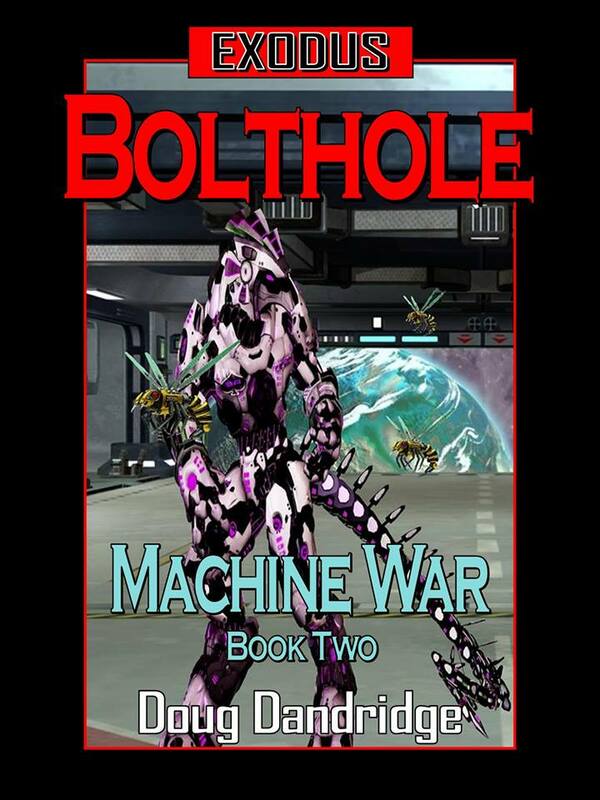 I start out with Exodus: Machine War: Book 1: Supernova, which can be found in the UK here. It will run from October 1-5. The series currently stands at 4 books, with more to come. Blurb: Exodus: Machine Wars: Book 1: Supernova is the launch of a new chapter in the Saga. Not all the action occurs on the main front. Space is too big for that kind of restriction. The Klassekians are a gifted race, with an ability which could help the Empire in its war against the Ca’cadasans. Just entering space, the species is still torn apart by religious and nationalistic schisms. They are on the verge of a nuclear war. And that is the least of their problems. For six light months from their star system is a blue giant, and the timer on its life is just about to hit zero. Exploration Command ships discover the civilization, and it is soon apparent that this is one that needs saving. But saving the six billion people on the planet is a daunting task, especially with a killing wave of radiation a year and a half away, six months after the blue giant explodes. And one of the main religious factions of the planet sees their destruction as a cause for celebration, the return of their God. Now the humans must not only battle time, but the politics and religious fanaticism of a fatalistic people who do not desire rescue, and are determined to stop those who do. Add to this the mysterious alien artifacts that rise from surface to above the atmosphere, and the mission becomes interesting in the most hazardous manner. And in the darkness, wait things that humanity thought they were well rid of, probing the human fleet, and threatening the great Empire base at Bolthole. Following will be the two books of the Refuge series, Refuge: The Arrival: Book 1 from October 6-10, and Refuge: The Arrival: Book 2 from October 11-15. This series currently stands at 5 books, with more to come. After that I will be doing the first three books of the Exodus: Empires at War series, which stands at 12 books, with more to come. I will be blogging about the other books on their day of release. So, if you haven’t read these books yet, or know someone who might like them, go ahead and grab them while they’re free. The Start of the Self-published Fifth Year and Plans For The Future. As some of you may know from past posts, I put my first two books up on Amazon and Smashwords on December 31, 2011. The first eight months were not very impressive, as I believe I sold about forty eBooks during that time. Then I did the giveaway of The Deep Dark Well, to the tune of over 4,000 copies. Two months later I published Exodus: Empires at War: Book 1, and it started selling well. How well? Over a hundred copies in October, 872 in November, 1,976 in December and 3,088 in January. I released Exodus Book 2 in December, 2011, and sold 1,440 copies that first month. In January of 2012 I sold a total of 8,560 eBooks, and that was when I decided I would do this thing full time in the near future. By the middle of March, 2012 I quit my job and I was suddenly my own boss. So, four years after putting up those first two books, I have sold over 151,000 Ebooks, 1,500 paperbacks, and 4,300 audiobooks, for a grand total of almost 157,000 copies. Six of the Exodus books have hit number 1 in Space Opera or Military Scifi on Amazon.UK, and top 10 on Amazon.US, with one reaching number 2. My total Amazon reviews total over 2,200, with an overall average across all books of 4.6 stars. On Goodreads I have over 2,300 ratings, with a 4.09 star average (4.18 for the Exodus series). We won’t get into money, except to say that I am making a very comfortable midlist (old midlist that is to say) income. So, everything is going well. I would like to do even better. I think most writers would. With the averages of my ratings on Amazon and Goodreads I think I can attract a bigger audience. The trick is actually doing it. On New Year’s Day I posted that I was going to try for 3K words a day. Then I came down with bronchitis, and have been lucky to average 2K. But I believe the 3K average will come when I’m feeling better. That comes out to about 1.095 million words for the year, or just about nine of the 120,000 word novels I tend to write. It will probably be more like 7 books, and the rest in short stories, blogs, whatever. I have other series in mind, things I would like to work on, but first I need to finish what I started. So, future plans? Exodus is still the primary focus. I am up to book 9 of the main storyline now. Some have commented that it’s already too long and needs to be finished. The majority opinion is that I can’t do too many books, but I have to disagree with that as well. I am planning a total of twenty books in the main series. Exodus was envisioned as a long series about a grand scale war. Some have said it appears to be World War 2 in space, which it kind of is, but not completely. Being an epic war, I wanted it to have a grand sweep, with successes and failures, advances and retreats, all the things that make up a grand war. While technology advances on both sides, there are no miraculous superweapons that win it overnight. Twenty should get me there, and there will be at least three books in the main storyline in the coming year, with the first release planned for March. Machine War, the side series, is also doing well, though not in the same league as the main storyline. One of the reasons for releasing that series while the main one still progressing was to have continuity between the two lines, without one already having given away the game of the other. There will be at least one book in Machine War released in 2016, and a total of six in the series. I will also put out a book or two of Tales of the Empire, with the first due for release in about two weeks. I like these short story and novelette collections because not only are they fun to write, they are good practice for writing short fiction. There will be some Tales of the Empire standalone novels as well, covering the history of the Empire. I will also write book 5 of the Refuge series, closing in on the finish. I expect 6 books will complete it. This was a series I had great hopes for, but it just isn’t doing it. Maybe some time in the future I can restart it. In two weeks I will be releasing the first book of the second Deep Dark Well trilogy. I wrote this book back in 2011, prior to releasing my first self pubbed work. I love the storyline, and it opens up an entirely new Universe with endless possibilities. I will probably release a book a year until the trilogy is finished, then see what happens. I have two short stories for invitation only anthologies I need to submit by January 31st, and another two for additional invitation only anthologies in May. And at least one, maybe two, novel submissions for traditional publishers. Now, several popular traditionally published authors have asked me why I would want a publishing contract. The answer is to get more readers. I would like to lock in a series with preferably Baen, do a book a year for them, maybe two, and spend the rest of the time putting out self pubbed. I think I can make it work to the mutual advantage of the publisher and myself. I have more series in mind for the future. I love the Exodus series, and it has done very well, but it also shows a lot of the things early on that I didn’t know. I hope to avoid the same mistakes in the future. Still, there will be another Exodus series, starting with the contact with the Ca’cadasans and the flight of humanity, up to the establishment of the Empire. I have several space opera series in mind, a standalone sublight warfare novel, possibly an urban fantasy, some alternate history, and a solar system warfare series. And maybe some military post-apocalyptic stuff. I’m not sure when I’ll do these other projects, or even if I will survive long enough to get all of this out. What I do know is I won’t run out of stuff to do.